Transition plans need to be written at a reading level the average incarcerated person can understand. Many of those in jail read between the fifth- and seventh-grade levels, so consider that when developing your transition plans. Make sure Check Grammar with Spelling is selected. Under When correcting grammar in Word, select Show readability statistics check box. Click OK.
Now you will get the readability statistics whenever you click F7 full document spelling check. After Microsoft Word checks for spelling errors, it will display information about the reading level of the document. This section will help you create resource packets or guides to empower those incarcerated to use services while in jail and after release. You will also learn the best way to distribute the guides, including training for jail staff. The development of a user-friendly county- or city-specific resource brochure, pamphlet, or pocket-size resource guide will help the returning population and their families understand the community resources available to meet their needs. The content of resource brochures and guides ranges from listing the most important numbers and hotlines to providing a description of the challenges inmates face at release and helpful tips to manage them. Link those leaving jail to interventions that can help them. Help jail staff gain a better understanding of community services when assisting inmates. Provide an easy guide for the formerly incarcerated when they are released. Provide an honest and hopeful introduction. Provide letters of support and sponsorship from other former inmates. Prioritize crucial first steps, and include a reference list for less immediate issues. Incorporate the guide into a training curriculum with in-person support. Provide the guide well ahead of release to help prepare a smoother transition. Include content that helps to manage specific challenges. Include maps of cities, transportation routes, and the locations of major service providers. Include informative, motivational text, being conscious of prevalent literacy levels. Include only service providers committed and accessible to individuals with a history of involvement in the criminal justice system. Be sensitive to language barriers. Keep the guide small, portable, and discreet. Evaluate reactions before and after the publication of the guide. Read more details about each recommendation. Benefit boards located throughout your facility and online community resource databases are easy and effective ways to share resources for those transitioning back to the community. The San Diego County District Attorney's office, San Diego County Sheriff's Department, San Diego County Probation Department, and San Diego Re-entry Roundtable developed in partnership 2-1-1 San Diego, a reentry section on the 2-1-1 website: http://www.211sandiego.org/Re-entry. Following are examples of different types of resource materials for people transitioning from jail and prison to the community. 1.Cuyahoga County, Ohio. 2011. Going Home to Stay: A Guide for Successful Reentry for Men and Women. 2. Davidson County, TN Sheriff’s Office. 2008. Reentry packet and information and referral guide. 3. Douglas County, KS. Reentry resource list with map and bus routes. 4. Howard County, MD. Howard County Probation reporting information sheet. 5. Douglas County Sheriff’s Office Corrections Division. Crisis Resource Card. 6. Fishman, Nancy and Jeff Mellow. 2008. Essex County Smart Book: A Resource Guide for Going Home will give you a better idea of information you may want to include in a resource guide. 7. Howard County, MD. Howard County Reentry Xpress session outline. 8. Orange County Sheriff’s Department Inmate Service Division. Client Release Guide: A guide to food, shelter & other emergency services in Orange County. 1Mellow and Dickenson, “The Role of Prerelease Handbooks for Prisoner Reentry,” Federal Probation 70 (2006): 70–76. Let's revisit what we have learned so far in the Tailored Transition Interventions module. Please select the phrase that correctly completes the following sentence. As comprehensive as possible with all services needed for full reintegration. Focused on immediate steps toward life stability. Identifying the community resources available and accessible to individuals transitioning back to the community is critical for successful reentry. Resource guides link incarcerated people to helpful interventions and inform jail staff of existing community services. Section 1: What Is Collaboration? 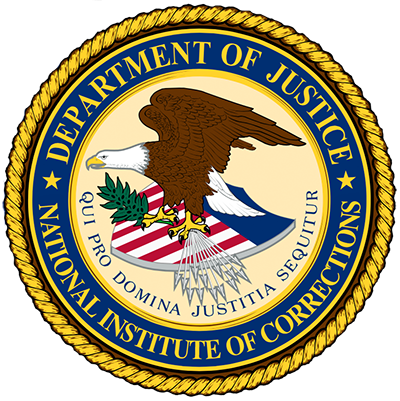 This website is a property of the National Institute of Corrections.